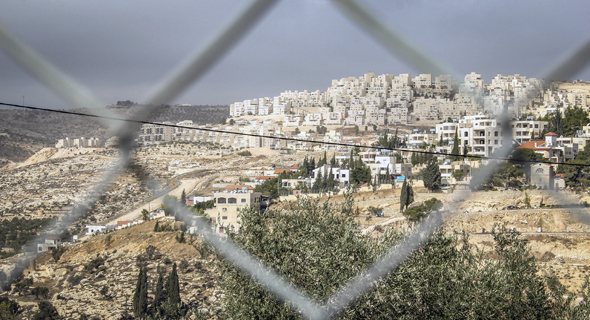 Palestinian landowners are suing Israeli settlers who have filed a suit against Airbnb over the company’s announced ban on West Bank settlement listings. Two Palestinian-Americans and two Palestinian villages who claim ownership of the properties that Israeli settlers have listed on Airbnb, have filed counterclaims to a class action lawsuit filed against Airbnb by said settlers, New York-based legal advocacy non-profit Center for Constitutional Rights announced Monday. In November, a group of 18 American citizens, some of them Israeli nationals who live in West Bank settlements, filed a lawsuit in Delaware against Airbnb following the company’s November announcement that it will be removing approximately 200 listing in Israeli settlements in the West Bank from its service. Following the announcement, lawsuits against the company were filed in both the U.S. and Israel. Earlier this month, Texas Comptroller of Public Accounts Glenn Hegar placed Airbnb on the state’s list of companies which it defines as boycotting Israel. At the time of writing, the listings are still available on Airbnb’s website. In its statement, the Center for Constitutional Rights said it is representing Palestinian Americans Ziad Alwan and Randa Wahbe, as well as the village of Jalud, and the town of ‘Anata, who have entered as plaintiffs in a counterclaim to Silber, et al. v. Airbnb, the lawsuit filed against the rental company in Delaware. The counterclaims argue that the Israeli settlers who sued Airbnb have participated in war crimes by aiding in Israel’s seizure of land in occupied Palestinian territory, including the specific lands on which the Airbnb properties stand. The rentals are in Israeli-only settlements from which Palestinian residents of the West Bank are barred as per Israeli military orders. Alwan, one of the plaintiffs in the counterclaim, is a Palestinian American who resides in Chicago and says he has the deed showing ownership of land that a settler runs a bed and breakfast on.